The Tyler family had the perfect life until sixteen-year-old Leah decided she didn't want to be perfect anymore. As Leah's rebellion escalates, her parents, Zoe and Will, wage a desperate battle to save their daughter from destroying her brilliant future. Meanwhile, her younger sister, Justine, must bear the burden of coping with the destruction her out-of-control sibling leaves in her wake. In Cortland, Massachusetts, where money and image reign supreme, the Tylers, once town royalty, soon find themselves isolated, the subject of vicious gossip and speculation. Jerry Johnson, the townie-turned-town-cop who intervenes, may be the only person in town who instinctively understands Dostoevksy's conviction, that "everyone is responsible to all men and for all men and for everything." This mesmerizing debut novel tells the tale of a contemporary American family caught in the throes of adolescent rebellion a heartbreaking, funny, ultimately redemptive quest for love, independence, connection and grace. This book is painfully honest. What happens when a perfect daughter decides to completely change her life? What are the consequences for the rest of her family and siblings? The reader will be introduced to the concept of extreme irony in this novel-the foremost being that the mother of the wayward daughter is a teacher who promotes the best possible futures for others' children. The daughter meets a secondary character, Todd, and her life disintegrates from there. The reader will wonder at the actions of the parents-there are not many attempts to curb their daughter's behavior or make her see the error of her ways. The parents are portrayed as weak and feeble. The younger daughter idolizes her elder sister. She, too, begins a downward spiral after her sister up and decides to stop being the good girl. There will be many times when the reader will wish he/she could grab the parents and shake them or tell them off; the reader will want to yell at the children and their ridiculous actions. This novel is meant to be extremely frustrating; it should be noted that the author is very impressive to get such an extreme reaction from her readers. A reader will find the book to be well-written and carefully constructed, the author does a terrific job of planning out each event in the novel. This novel is recommended for young adults/adults who believe every book can teach him/her something. Announcing the In Leah’s Wake Social Media Whirlwind Tour! As part of this special promotional extravaganza sponsored by Novel Publicity, the price of the In Leah’s Wake eBook edition has dropped to just 99 cents this week. What’s more, by purchasing this fantastic book at an incredibly low price, you can enter to win many awesome prizes, including Amazon gift cards of up to $500 in amount and 5 autographed copies of the book. Be sure to enter before the end of the day on Friday, December 16th, so you don’t miss out. Monday, Radio Interview with Novel Publicity! We’re kicking-off on the Novel Publicity Free Advice blog. We interviewed Terri on our radio show Sunday night and have embedded the full podcast and blogged about its highlights. Give it a listen and then leave a comment on the blog post. This is a great chance to get to know more about this inspiring and friendly author. 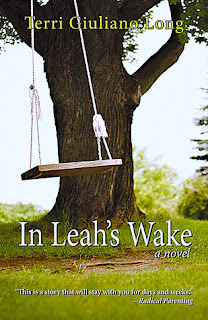 One commenter will win an autographed copy of In Leah’s Wake. Don’t forget to enter for the other contest prizes while you’re over there! Wednesday, Google+ sharing contest! Yup, there’s yet another awesome opportunity to win a $50 Amazon gift card, and this time it just takes a single click! Visit Google+ and share Emlyn Chand’s most recent post (you’ll see the In Leah’s Wake book cover included with it). On Thursday morning, one lucky sharer will be $50 richer. An autographed copy of In Leah’s Wake is also up for grabs. Three chances to win! How about that? Thursday, Facebook sharing contest! Stop by Novel Publicity’s Facebook page and share their latest post (you’ll see the In Leah’s Wake book cover included with it). It’s ridiculously easy to win! On Friday morning, one lucky sharer will be $50 richer. An autographed copy of In Leah’s Wake is also up for grabs. Friday, special contest on the author’s site! Win a $500 Amazon gift card, simply by leaving a comment on Terri’s most recent blog post. Yup, you read that correctly—$500! How easy is that? An autographed copy of In Leah’s Wake is also up for grabs. About In Leah’ Wake: The Tyler family had the perfect life – until sixteen-year-old Leah decided she didn’t want to be perfect anymore. While her parents fight to save their daughter from destroying her brilliant future, Leah’s younger sister, Justine, must cope with the damage her out-of-control sibling leaves in her wake. What happens when love just isn’t enough? Get it on Amazon or Barnes & Noble. 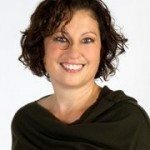 About the Author: Terri Giuliano Long grew up in the company of stories both of her own making and as written by others. Books offer her a zest for life’s highs and comfort in its lows. She’s all-too-happy to share this love with others as a novelist and a writing teacher at Boston College. She was grateful and thrilled beyond words when her award-winning debut literary novel, In Leah’s Wake, hit the Barnes and Noble and Amazon bestseller lists in August. She owes a lot of wonderful people – big time! – for any success she’s enjoyed! Visit her on her website, Twitter, Facebook, or GoodReads. She turned onto her side, burying her face in her pillow. Around midnight last night, Todd had retrieved a blanket from his truck, and spread it over a pillow of pine needles and leaves. She pictured him on his elbows, staring down at her, the planes of his face accentuated by the shadows. He pushed her hair away from her face. His hand slid from her shoulder to her hips. Her shades snapped up, startling her. In the harsh light, Todd’s face vanished. Hearing her name—Todd?—she rolled onto her back. No. This wasn’t the way it went. Her father wasn’t supposed to give up. He never gave up. They talked until they’d worked things out. “Dad?” Leah shot of bed and darted out to the landing. Reeling, she logged off. This was impossible. Zoe was a therapist. She worked with teenagers. If her daughter were involved with drugs, she would know. She’d recognize the signs. Moods? What sixteen-year-old girl wasn’t moody? Slipping grades? In high school, Zoe and Will had both flunked biology; maybe Leah had inherited the gene. Leah had missed her curfew a few times, until last night never by more than ten minutes. Granted, Leah had lied about being with Cissy. Yes, Cissy’s being MIA this last month was certainly strange. But girls fight. Junior year, Zoe’s best friend had dumped her cold, all because the girl’s crush had called Zoe “pretty.” Normal teenage behavior—all of this. “I felt I knew these characters better than my friends and neighbors. In Leah's Wake is a beautifully written and absorbing novel." "As a mom, I felt what Zoe felt. It tore my heart out to see the promise of a child being replaced with the nightmare of reality… I’m adding Terri Giuliano Long to my list of authors I want to be stranded with." "I give In Leah’s Wake 5 stars and recommend reading to anyone with tweens. Although it is fiction, this book can be a great reference for parenting teenagers." In Leah's Wake is beautifully written, haunting, fascinating, and a book that has a lot to say, a lot to teach you, without getting preachy. A request: Would you please cross-post this lovely review to Amazon and GoodReads to help up exposure for the wonderful Ms. Terri? I think the reviews are already posted there, but thanks for the reminder! Thank you so very, very much for your beautifully written review! You really do capture the book perfectly! Readers sometimes miss the central ironies. I especially love that you point them out. I'm also touched that you felt it evoked a strong response.